The Red Bull Music Academy are heading back to the EDF London Eye for round two of their 'Revolutions In Sound' series, slated for Thursday 14th November. 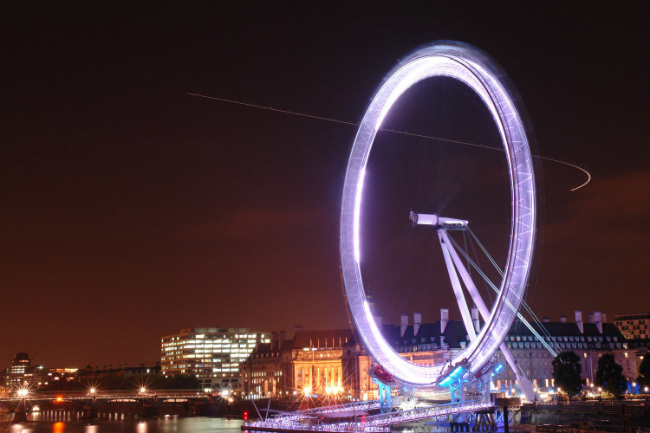 A couple of years ago, Red Bull Music Acdemy daringly took over The London Eye, giving each of its thirty pods to records labels and clubbing brands, inviting a special handful of lucky attendee's to enjoy the sounds of their given pod while making 2 full revolutions on the wheel itself. Previous guests included David Rodigan, Benji B's Deviation, Metalheadz and many more. Check out the below video of Benji B and a string quartet in their pod last time around. For the next bout, they've placed an even bigger focus on the past, present and continuing future of dance music and club culture. So far, brands such as West London hip hop night Yo Yo, Danny Rampling's classic Acid House night Shoom, The Blitz Club, Bugged Out! and Glasgow's Sub Club are all due to helm a pod, while the legendary Talkin' Loud imprint, Bristol's Motion club night, London Warehouse Events, Sheffield's Jive Turkey and Metalheadz are all confirmed too, with more names and brands announced in September. Documenting the event live shall be Channel 4's 4oD service, comprehensively streaming all thirty capsules in real time; those not in the UK can stay tuned via YouTube. Red Bull Music Academy is also teaming up with Google+ to present a living archive of club culture to be unveiled in late September. Head here for ALL the essential info. Listen to Benji B on Pulse Radio.